"Aromarachnid"...Who goes there with ones nose? Said the little spider hiding in the rose. 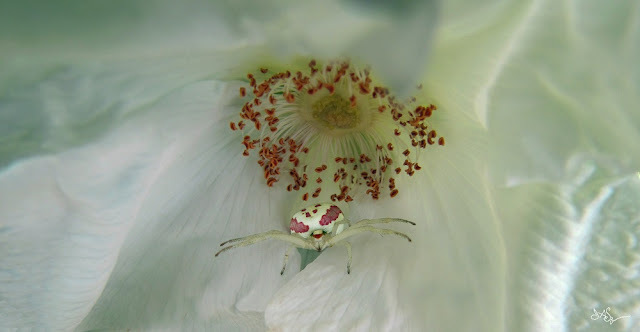 This little Goldenrod Crab Spider (Misumena vatia) is a member of the Crab Spider family. while they wait to grasp any unsuspecting insect victim that comes within reach. Sizes available up to 54"x28"